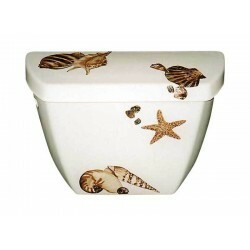 A variety of colorful sea shells in shades of pink, brown and beige painted on the bowl and leg of a traditional pedestal lavatory. 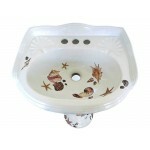 Great for a place by the ocean or beach themed bathroom or powder room. 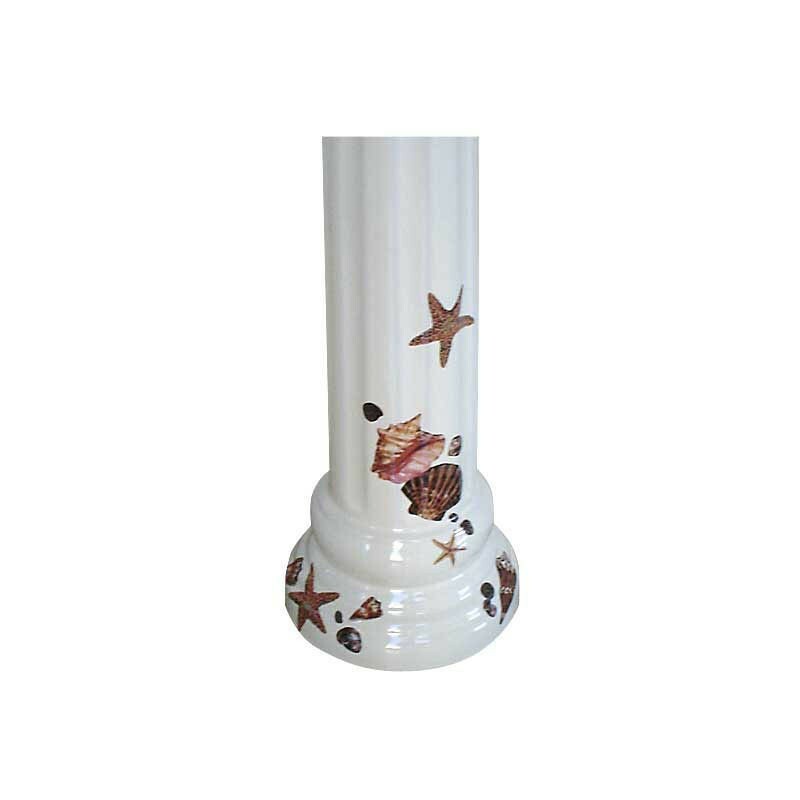 Shown on an extra-large white Traditional Pedestal, no longer available. 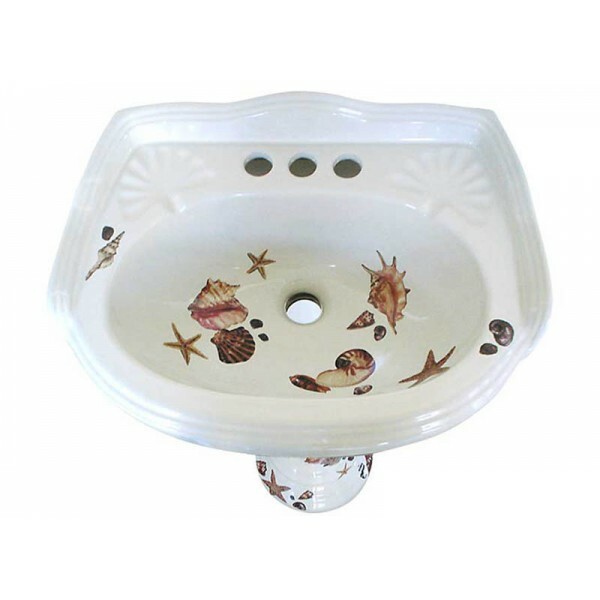 Can be adapted to any pedestal sink. 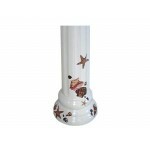 Visit Fixture Choices for options. 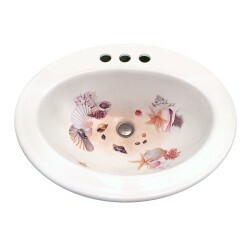 Ships in 3-4 weeks.